Episode 1 From their beginnings as a primitive system of track-ways for coal carts in the early 18th century, railways quickly developed into the driving force behind the industrial revolution and the pivotal technology for modern Britain, and a connected world. Dan Snow looks at the rapid progress of the railways in their early years and profiles some of the people who helped to define this new mode of transport. Episode 2 In the late 1830's the railways arrived in London and linked the capital to Birmingham, Liverpool and Manchester. This was the start of a truly national network - and one of the greatest civil engineering projects in history. The spread of the railways triggered a mania across Britain with many winners and losers. However as Dan Snow reveals, the legacy of the mania was an incredible rail network for 19th century Britain and a revolution in the way people lived. Episode 3 Between 1870 and the First World War, it was the golden age of railways. Britain was industrialising, her cities were expanding and railways were indispensable. But railway maintenance and management left a lot to be desired and it would take a serious accident to bring the issue to the fore. Dan Snow reveals how Britain's railways were transformed into something safer, more profitable and more desirable. 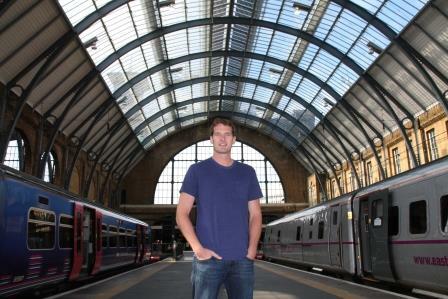 Dan Snow's History of Railways airs Wednesdays, 7.30pm, SBS.